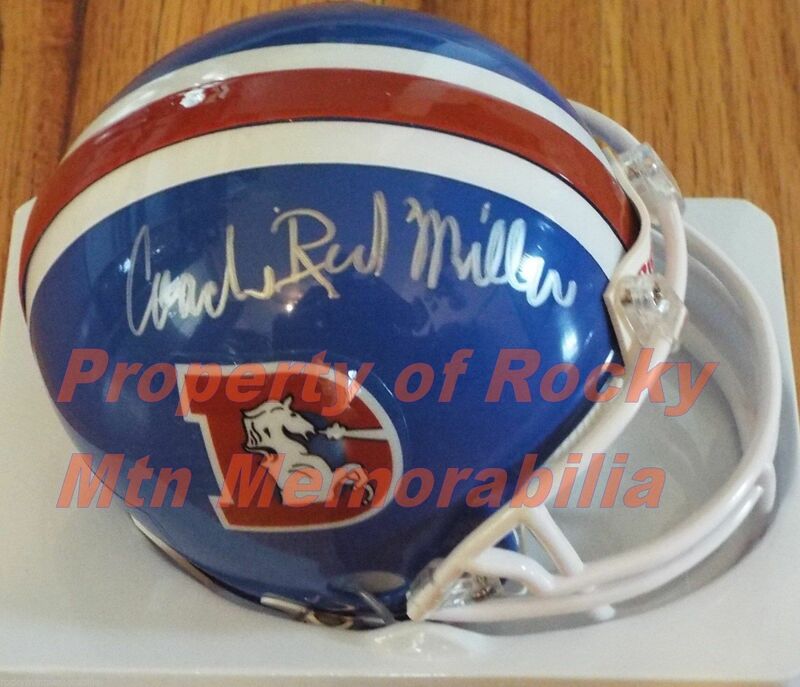 ROCKY MTN MEMORABILIA is currently updating our website based on inventory and to allow payments via Paypal. Any of the pages that you can access can accept payments for items you can view. 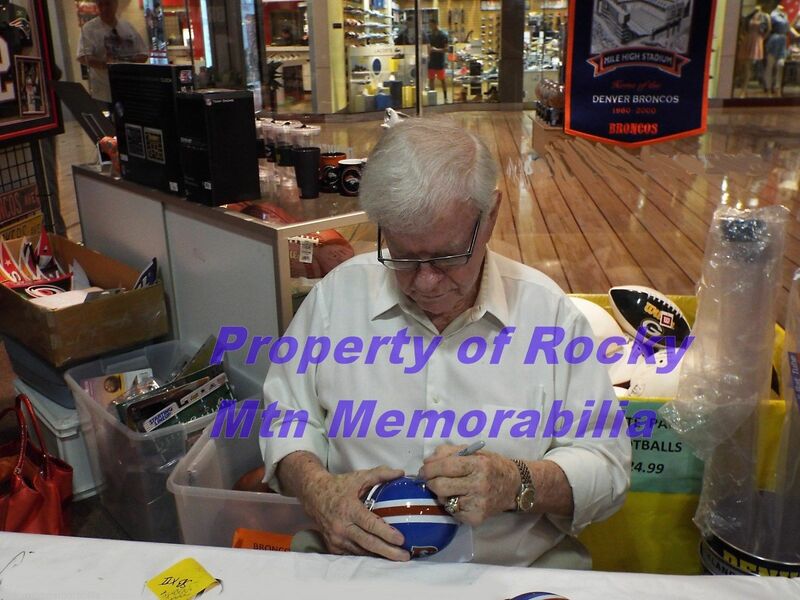 Return often as we are adding to item selection and future autograph signings. 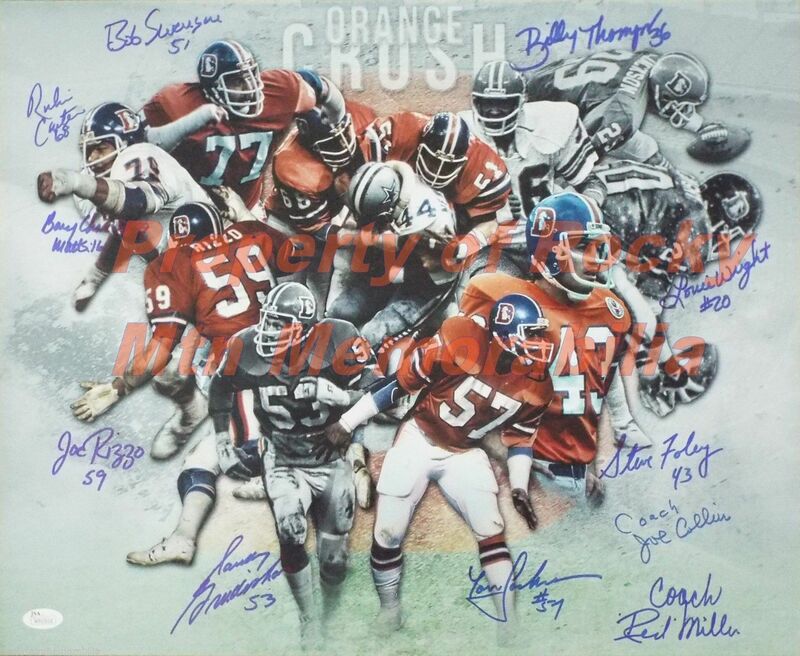 Our condolences go out to the family, friends and players of COACH RED MILLER. 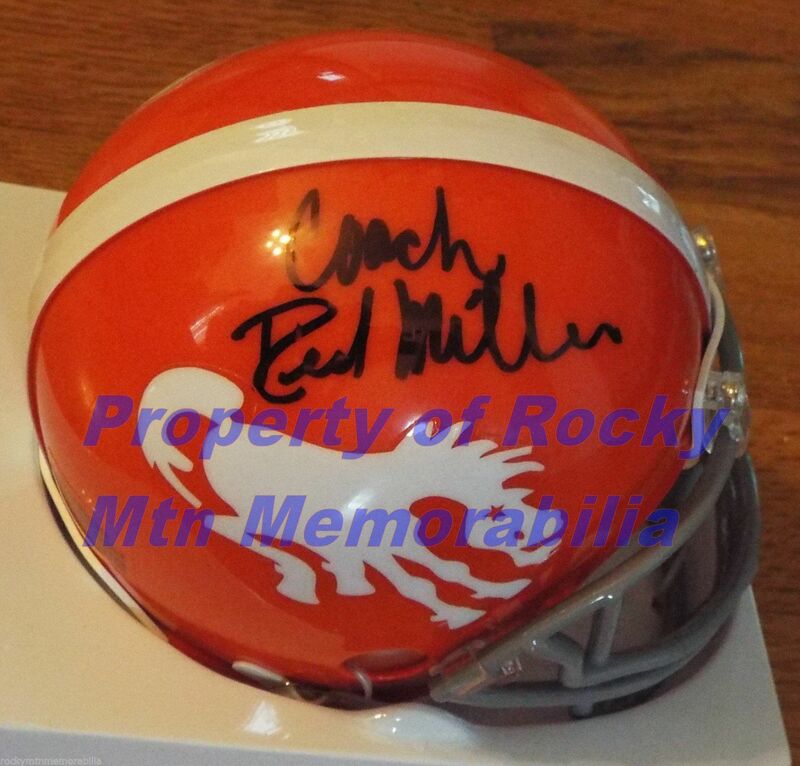 We have a very limited quantity of mini helmets left from the last signing he did for us in July 2015. 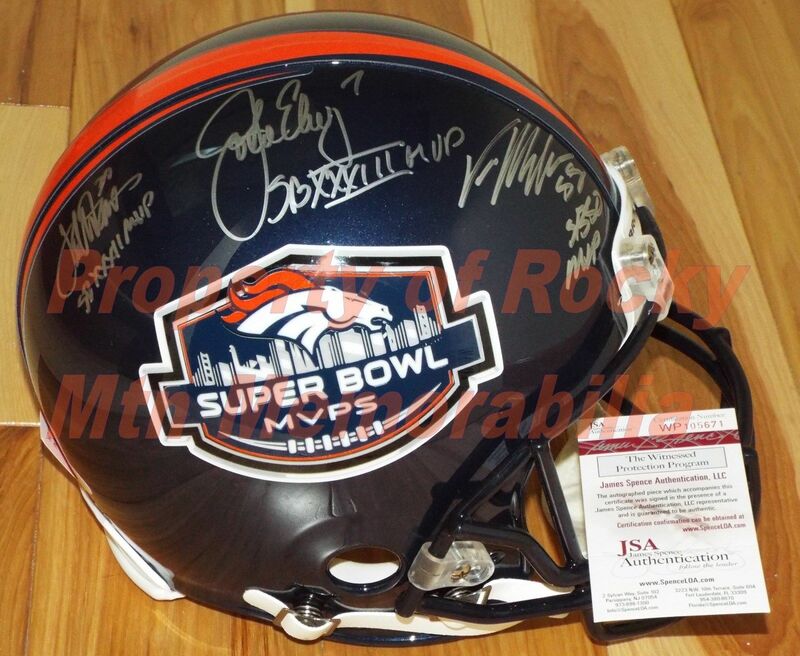 Scroll down to see our available mini helmets we have for purchase. 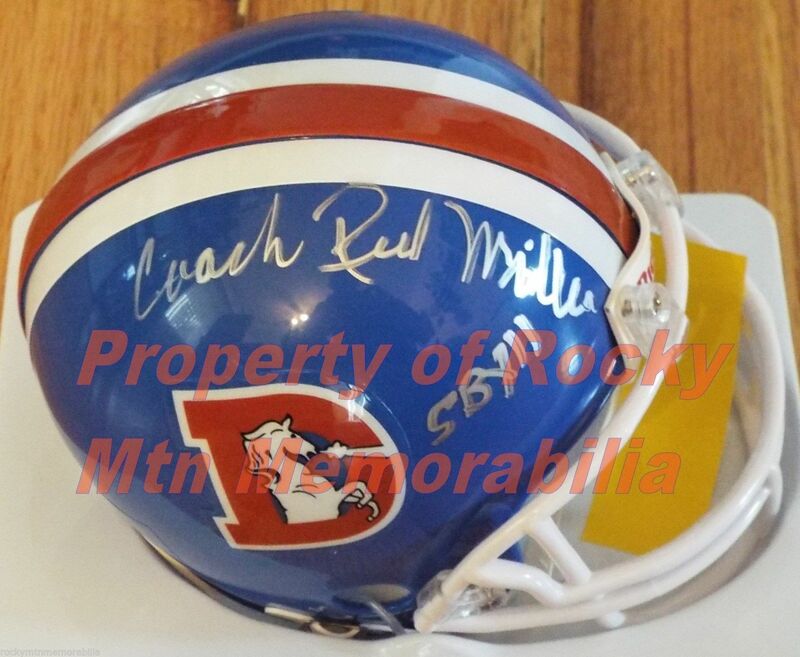 Red Miller Signed D-Style Broncos Mini Helmets w/ SBXII Insc.